Is it possible to have a platonic crush on a gay guy who died nearly 40 years ago? After seeing Private Lives at the Huntington Theatre, I think I just might. 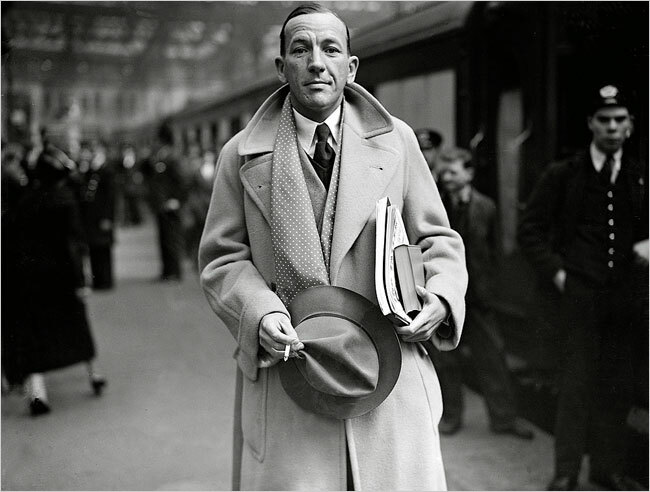 Noël Coward (1899-1973): brilliant wit, playwright, bon vivant, lyricist, singer, actor, director, composer, spy, propaganda officer, and one of the best dressed men (living or dead) on the planet, lived an action-packed, glamorous existence. Forced by cultural mores to stay in the closet, Coward looked for true love his entire life, without ever quite finding it. He did manage to nail the ups and downs of love in his writing, translating his observations about relationships into dialogue that’s as hilarious now as it was nearly a century ago, when he first wrote it. Coward’s play Private Lives, thought by many to be his best, is at Boston University’s Huntington Theatre through June 24th; check it out if you can. Directed by Maria Aitken, it’s pure sparkling escapism, wrapped in a gleaming Art Deco time capsule. The performers, sets, and costumes capture the wit and vitality of Coward’s finest work. Try to get to this must-see production at the Huntington before the 24th, but if you can’t, there’s plenty of archival Coward material on YouTube. If you’re in New York City, the New York Public Library’s Performing Arts branch at Lincoln Center has what looks to be a tremendous Noël Coward exhibit, Star Quality: The World of Noël Coward, through August 12th, extended from its original March 12 close date. You can read more and about the exhibition here and browse its extensive archive. I’m planning on heading to Lincoln Center to see it next time I’m in NYC.